1) Lots more romance. What hooked me about the Twilight series was the romance. Call Edward a stalker if you will, (I might not argue) but Bella loves him and he loves her. The first two movies, in my opinion, were sorely lacking in romance. 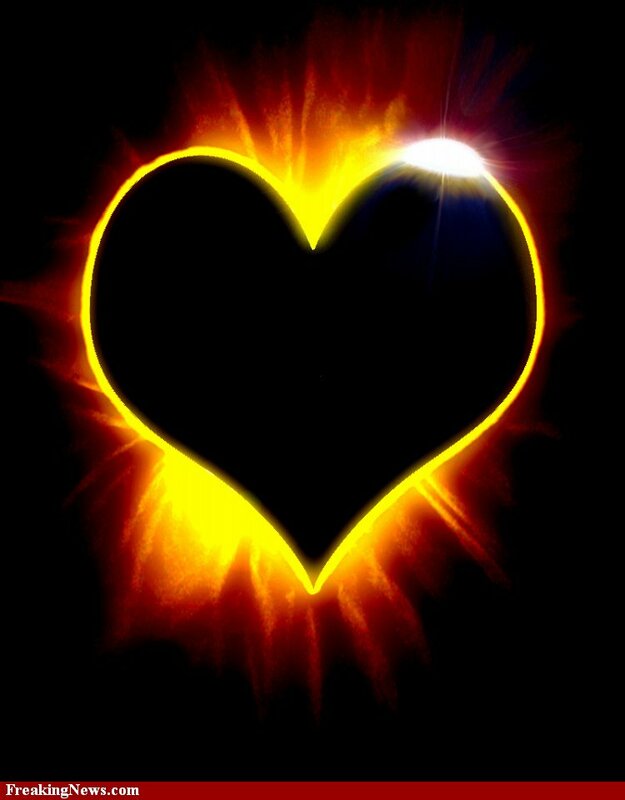 Eclipse makes up for that with lots of cute moments, sweet gestures and steamy kisses that actually felt genuine. I even bought into Bella’s kiss with Jacob, which says a lot. 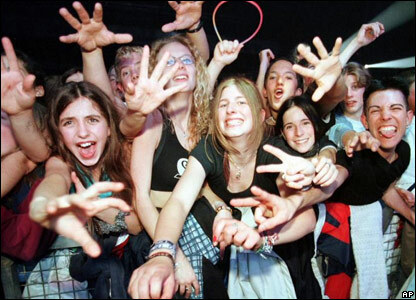 2) Crazy fans. I didn’t actually take the picture below, but these might as well have been the girls who sat behind us. Lots of cheering, lots of swooning, lots of love for Jacob. We had some middle-aged Twi-Moms, too (something I do NOT consider myself!) who did their fair share of cheering and giggling at the shirtless Jacob moments. We even had a group of high school age girls who came dressed in inappropriate and ill-fitting prom gear. What is with these movies and their ability to encourage people to let their freak flags fly? On a similar note, we got to briefly observe the line of Last Airbender fans waiting for the midnight showing. Holy Crap. Again, I didn’t take the picture below, but I might as well have. The people waiting were in full (very poorly made) costumes. 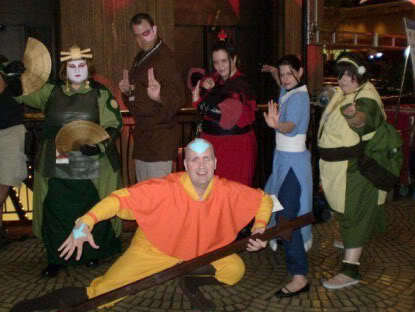 Maybe I’m sheltered, but I’d never even heard of Last Airbender until the movie trailers came out, so I was surprised to see the intensity of the fan level of these people. Good for them though, for braving the judgment of others to completely fan-girl/fan-boy out! 3) More Cullens. I like the Cullens. I like them a lot more than Edward, Jacob and Bella. I don’t, however, love how they were portrayed in the first two movies. Cheesy. Eclipse was better though! 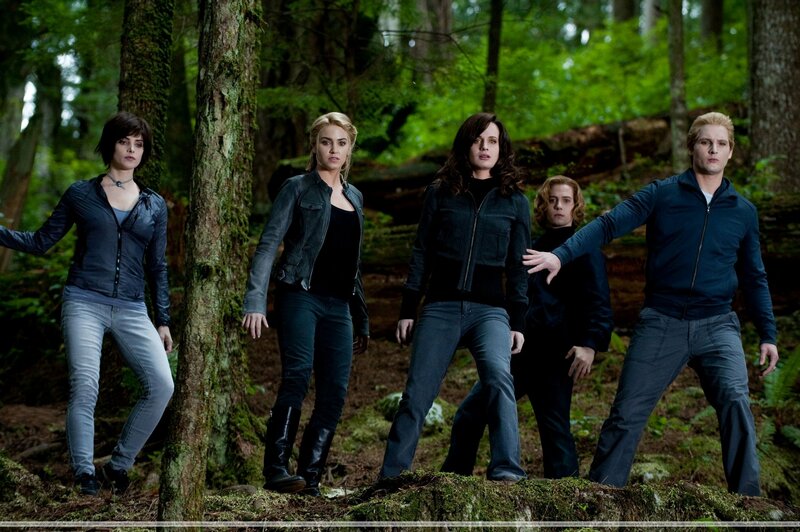 The Cullens were more natural, better dressed and seemed to have more of a spark. I loved Rosalie’s back story scene, I loved Jasper teaching the gang how to fight, and I loved the subtle interactions between the couples. In fact, the Cullen scenes were my favorite of the movie. 5) Yay for battles that weren’t cringe worthy! 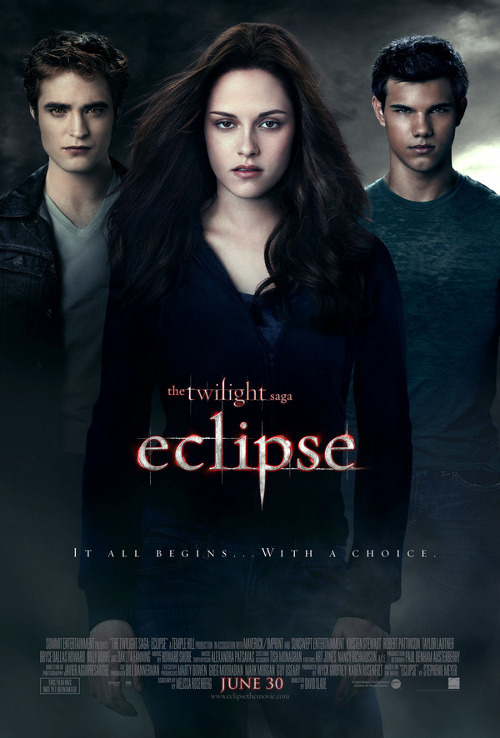 The special effects of Eclipse were much better than the previous two movies. In fact, I didn’t find myself distracted and squirming every time a vampire ran, jumped or fought. The wolf phases seemed smoother, too. I’m sure it’s due mostly to the bigger budget, but kudos to the director of not half-assing the actions scenes. They were crucial to the movie and pretty well done. This made my whole day. How often has Mr. Katie read over my shoulder and said the same thing? LOL Glad you guys had a good time!